From 14th September 2016 all Virgin Atlantic and Delta Air Lines flights from London Heathrow will arrive and depart from Terminal 3 (T3). Delta will transfer its Atlanta, Detroit, Minneapolis, Salt Lake City and Philadelphia flights from Terminal 4 to join its services to New York-JFK, Boston and Seattle that already operate from Terminal 3. In total, Delta will operate 11 daily flights to eight US cities nonstop from Terminal 3.
https://gtm.uk.com/wp-content/uploads/2014/03/1372084951000-VA-Delta-Aircraft-1306241043_4_3.jpg 401 534 Paul https://gtm.uk.com/wp-content/uploads/2015/05/logo_trans.png Paul2016-09-12 14:28:092016-09-12 14:28:09Virgin & Delta to co-locate at Heathrow T3. Delta & Virgin to co-locate at Heathrow. Virgin Atlantic and Delta Air Lines have announced plans to align their services at London Heathrow airport, as their transatlantic joint venture gets ready for take off. The two airlines have revealed details of their new combined schedule which will start on 30th March 2014. Among the changes, Delta will move flights on its key business routes (New York JFK, Boston and Seattle) to Heathrow’s Terminal 3, in order to co-locate with Virgin Atlantic from 2nd April. All of Delta Air Lines’ flights are currently based at Terminal 4. 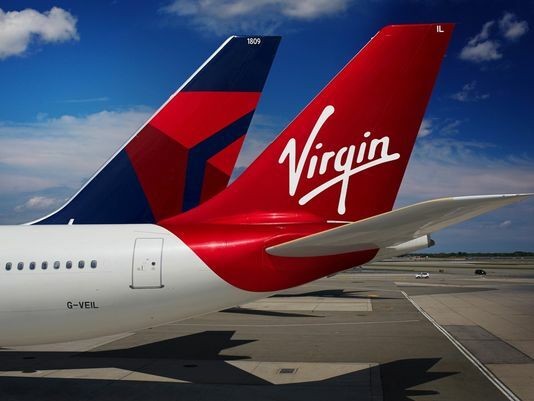 Craig Kreeger, Virgin Atlantic’s CEO, said: “We already co-locate together at New York’s JFK airport and moving some of Delta’s key business flights to join Virgin Atlantic at Heathrow’s Terminal 3 will enhance convenience and reduce connection times. As part of the move, all business class passengers with both carriers will be given access to Virgin’s Clubhouse lounge in Terminal 3. Delta is to also operate a second daily service between Heathrow and Detroit from 2nd June 2 2014, alongside its recently announced Heathrow-Seattle route, which is due to launch later this month on 30th March. https://gtm.uk.com/wp-content/uploads/2015/05/logo_trans.png 0 0 Paul https://gtm.uk.com/wp-content/uploads/2015/05/logo_trans.png Paul2014-03-10 17:36:412014-03-10 17:36:41Delta & Virgin to co-locate at Heathrow. BA To Move SIN & SYD Services To T5. British Airways is to move its London Heathrow-Singapore-Sydney services to Terminal 5 from the end of March 2013.
news that Qantas will end its joint business agreement with BA and strike up a new partnership with Emirates. already operate. The airline’s new B777-300ER aircraft feature a four-class World Traveller, World Traveller Plus, Club World and First layout. https://gtm.uk.com/wp-content/uploads/2015/05/logo_trans.png 0 0 Paul https://gtm.uk.com/wp-content/uploads/2015/05/logo_trans.png Paul2012-11-05 19:31:402012-11-05 18:39:02BA To Move SIN & SYD Services To T5. Purple Parking – New Instructions for Heathrow Airport. will be changing. Confirmations have been changed to reflect these new instructions, however, if you are a regular customer please note these changes. Please find the new instructions below which are effective immediately. https://gtm.uk.com/wp-content/uploads/2015/05/logo_trans.png 0 0 Paul https://gtm.uk.com/wp-content/uploads/2015/05/logo_trans.png Paul2012-10-01 09:57:092012-10-01 09:56:28Purple Parking - New Instructions for Heathrow Airport.